Buying T-shirts online can be a tricky business sometimes. So many styles and designs, so many possibilities and prices. How to find that perfect shirt that not only looks cool, but will also be of highest quality and – all in all – best value for money? Well, this article will not give you an answer to that. 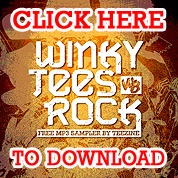 Instead, it will address few important things you need to have in mind when buying T-shirts online. 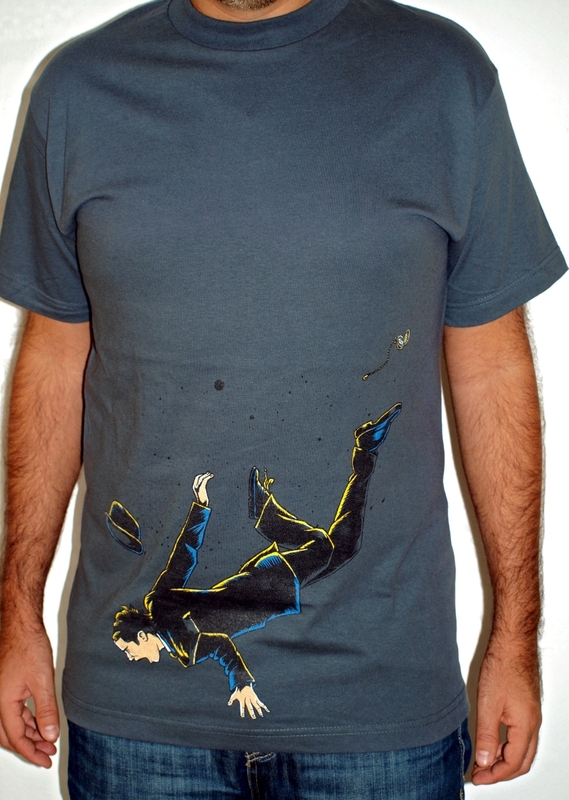 T-shirts are not only clothes, T-shirts are art. Hope you understand this fact. They express different standpoints, they feature specific design styles and they address various issues in unique, creative ways. 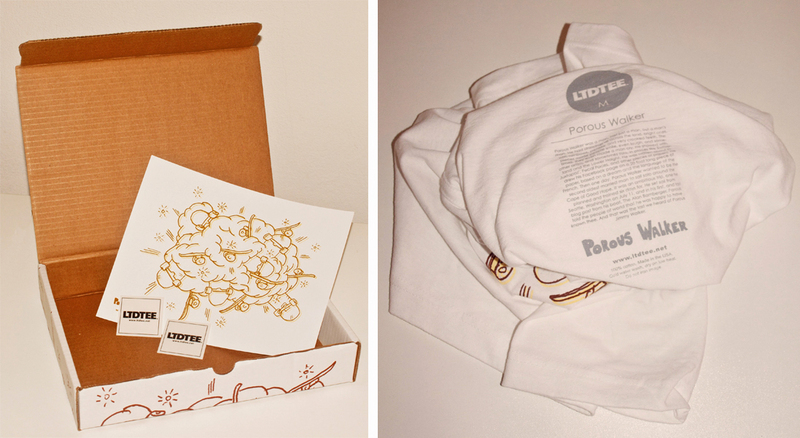 T-shirt packaging – for instance – is an art for itself. So if you’re looking for another “I’m with stupid” slogan shirt – that’s fine, but here you’ll be given some facts about designer T-shirts in form of physical T-shirt review. Recently I was offered to review Unleash Studio T-shirt of my choice by Melissa Rivera, the creative force behind this independent clothing company and designer studio from Honolulu, Hawaii. No ukulele, no lei this time. Melissa rather designs her tees driven by the love for animals (not in some weird way, though – shame on you for thinking like that)! 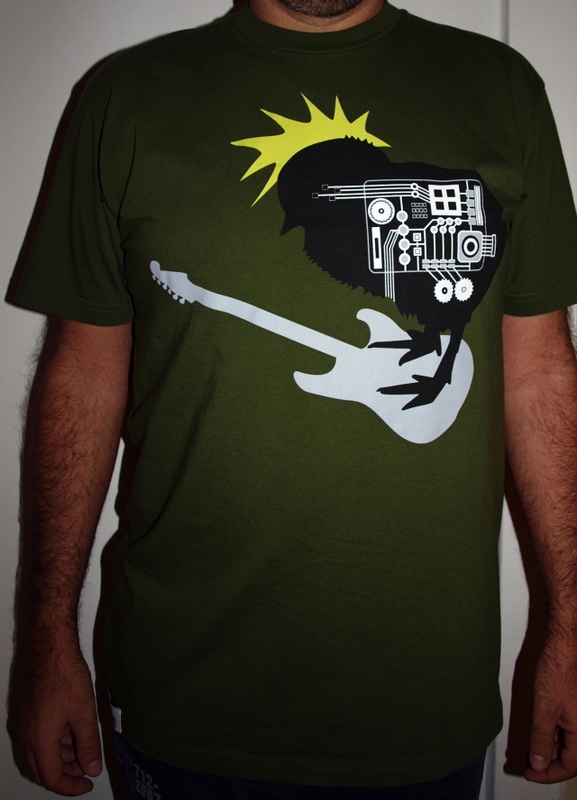 I chose “Rock Chick” T-shirt in green (it comes in grey, too). Two weeks later Unleash parcel found my doors. Packaging – shirt was packed in plain envelope, but it had big Unlesah logo printed on it, which I find nice. Of course not all T-shirts you order online need to have unique packaging, but adding such details says much about the professional approach of the company. Overall impression – upon unpacking shirt seemed very nice with dominating design and a lot of details, such as company tags and additional prints. It also appeared a bit longer than I expected, but I was warned about it before shirt was sent (later I’ll talk more about it). 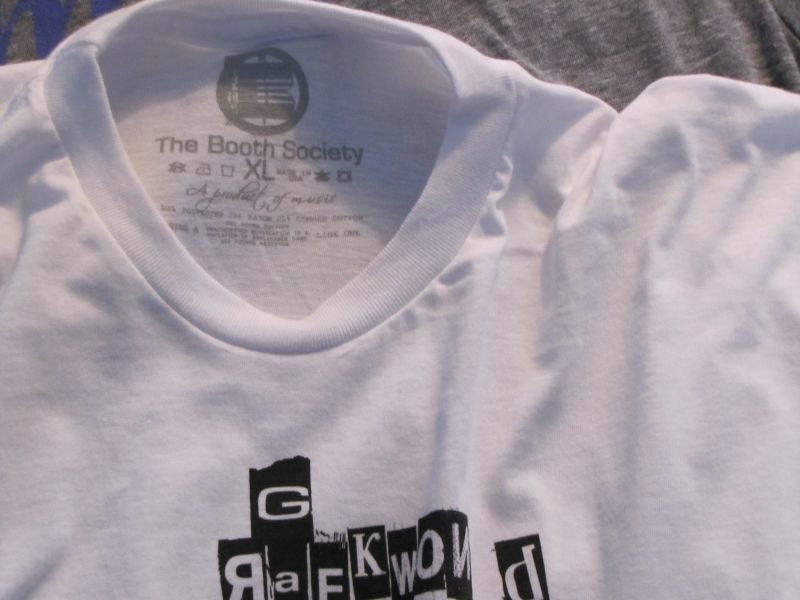 T-shirt type – design is printed on American Apparel T-shirt, a brand which is well-known for it’s outstanding quality. It’s a 100% combed cotton shirt which needs to be washed first in order to shrik (it’s not a preshrunk one) and it’s fitted athletic / slim. It’s also of medium thickness. When worn shirt feels very comfortable, soft and light. You should always ask about those kind of things when you’re ordering T-shirts online because you simply don’t want to invest your bucks into something you wouldn’t feel comfortable in. 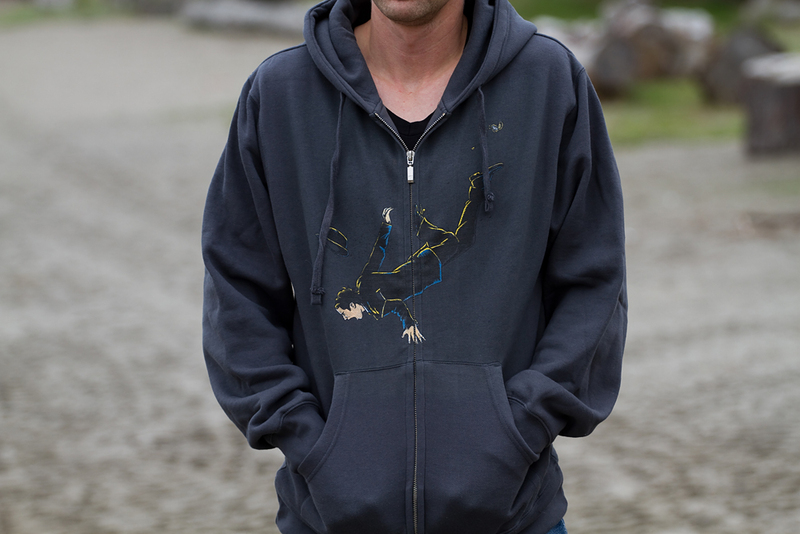 As I’ve stated before – this design is called “Rock Chick” and is just one of the designs from Unleash “animal series”, which also features “DJ Shark”, “Skateboarder Squirrel”, “Winged Elephant” and “Seahorse Knight” (plus some other combinations). 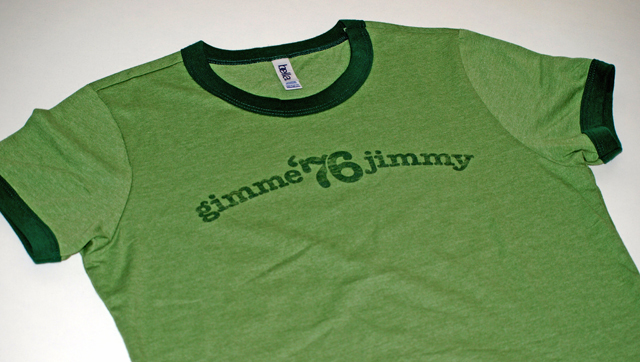 It comes printed on green or grey shirts in both men and women styles (“Standard American” is American Apparel unisex line). Creativity aspects – coming from a schooled and a very talented designer no wonder this design looks so great. Having an eye for a detail, Melissa Rivera adds some technology items to the body of this mohawked chick, which might address the latest (sad) human interventions into animal bodies. Chicken is standing on a guitar and it feels like it’s playing it using fingerpicking… umm, I meant – clawpicking style. To spice it up a little Melissa colored a mohawk into flaring green. Details – having an eye for details is one thing, but applying that to your product is another. 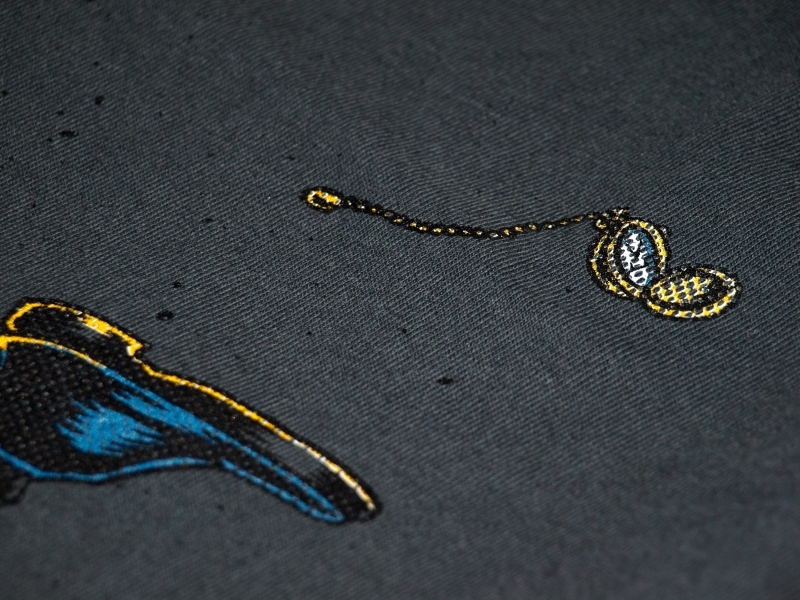 This T-shirt is filled with details, but luckily – not in a blatant way. 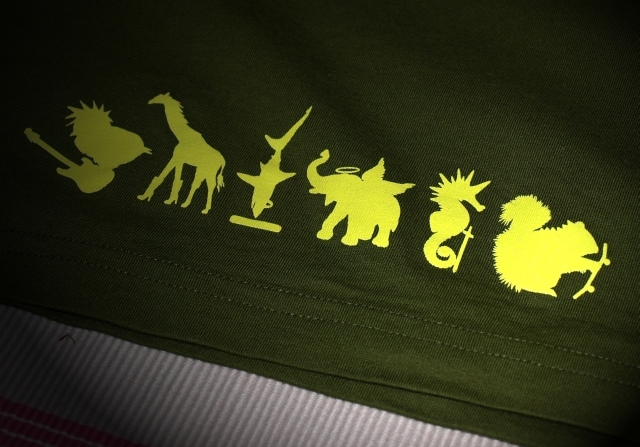 There is a back print just above the lower edge of a tee, which features all the designs from Unleash “animal series”. There is also Unleash logo printed on the right sleeve, plus a sewn-in inwrought Unleash logo tag at the lower edge on front of a shirt. Since I’m a sucker for details I give this shirt the highest rating. 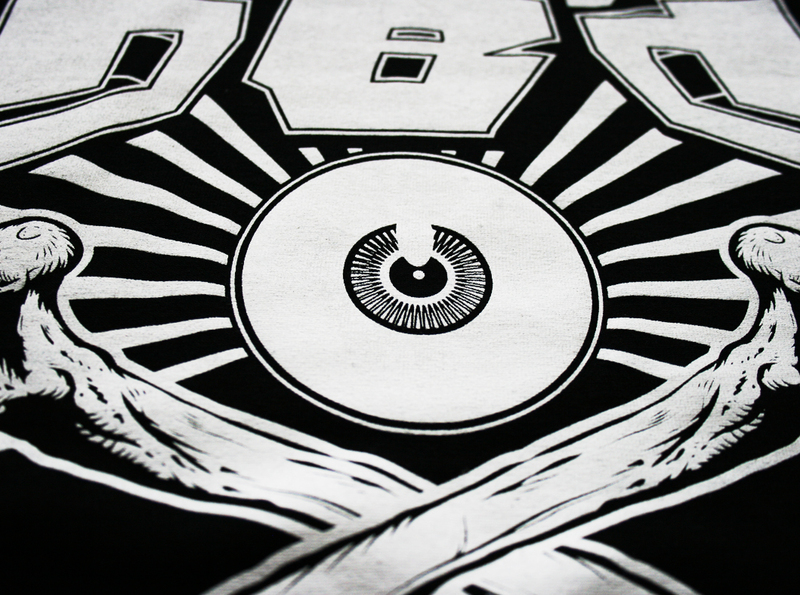 Print method – design is applied to the shirt using screen printing, which is probably the most used method of T-shirt printing. 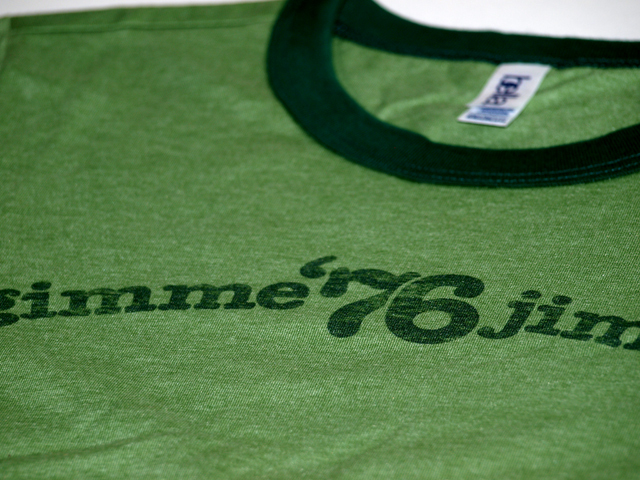 This printing method – among other things – guarantees you longer durability of design / colors. 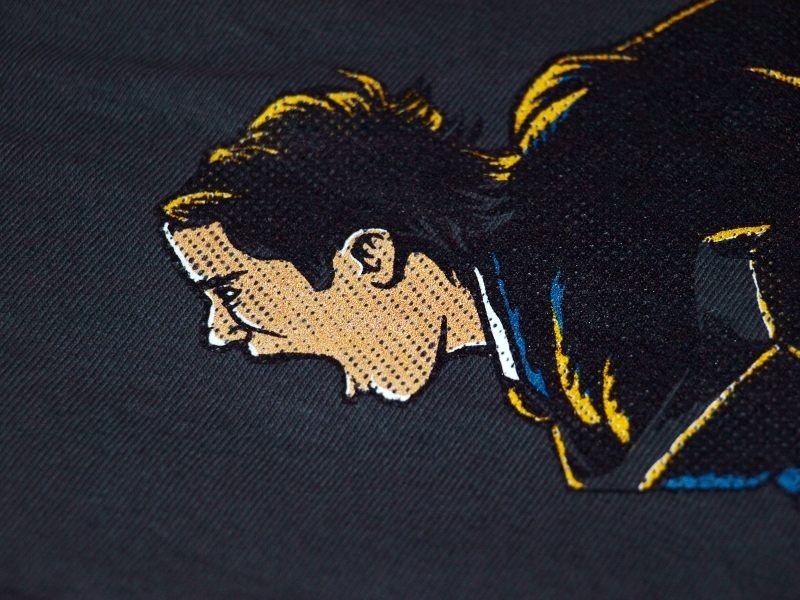 When buying a T-shirt you might want to think about what does the design says for itself. Is it perhaps representing your standpoint on something? Will people react to the ironic approach of a design (I don’t mean iron-ed on / heat-transferred design)? Or you like it just because it looks great, so you hope you’ll look great in it? If so – keep on hoping! 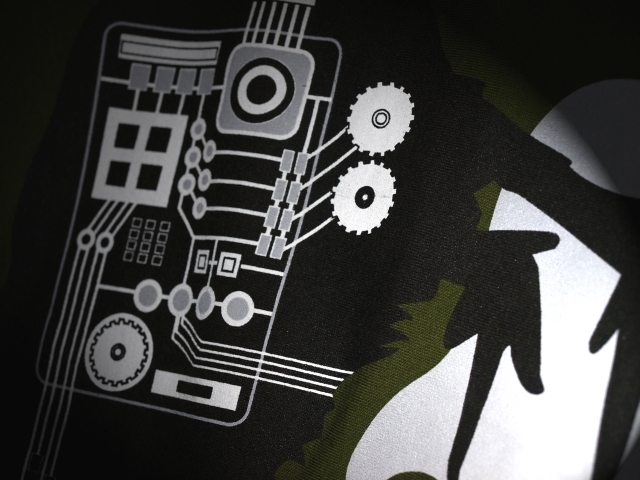 Seriously – the design and the way it is done (both designed and printed / applied) is the crucial aspect of chosing your new T-shirt because of both uniqueness and persistence of colors. Here are some other facts about this T-shirt. Sizing – this shirt is sized L and I usually wear M. I was warned I should order one size bigger because of the slim fit and because the shirt is not preshrunk. Pictures here are taken after I washed the shirt, so it shrunk a little. Maintance – shirt should be machine washed cold and tumble dried low. This prevents the distortion of design / colors. Additional items – there was Unleash cardboard tag attached to a neck tag. Shirt also came with a fyler which features all designs from Unleash “animal series” and states the importance of animals in our lives. 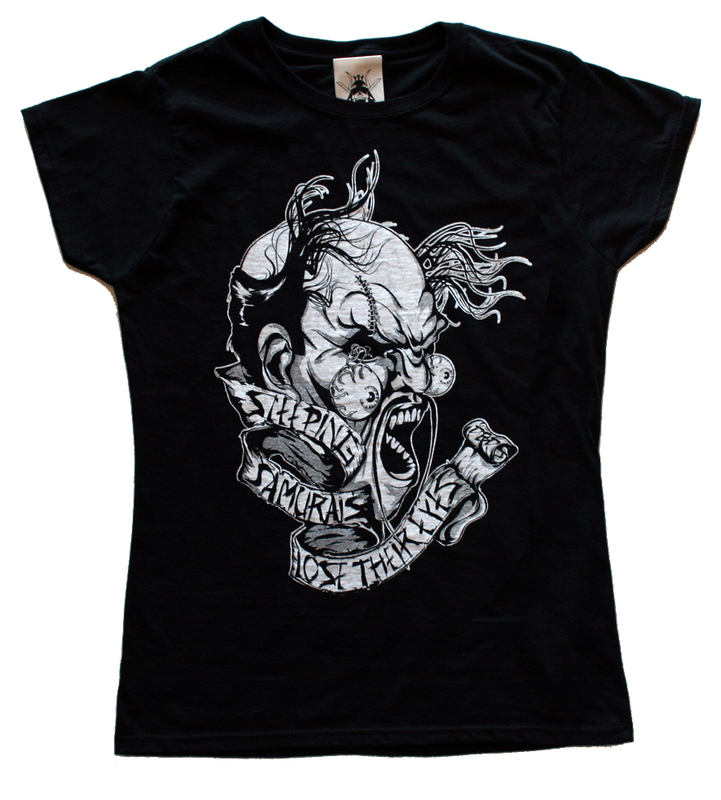 Price – This shirt is priced $20.00 (plus shipping), which is a middle-range price. It’s also very affordable if you know how well and detailed it is done, especially when some clothing companies charge double their uninventive designs. Plus the shirt itself is of great quality. Sometimes you just want to pay a little extra in order to get the right quality and also something no one else has… well, at least not that many people. Unleash Studio managed to create a great looking T-shirt with cool T-shirt design which is both funny and creative, while addressing the important issue (human treatment of animals). Shirt feels very comfortable and soft, it’s easy to maintain and the price is affordable, having in mind creativity and execution aspects. You might wanna check for the right sizing because of the slim fit, though. Make sure you check Unleash Studio official website because it features Melissa Rivera’s wonderfuly designed useful items, such as skateboard shelves, dog-shaped night lamps and robot desktop helpers. Like this shirt? Find this article useful? Think I missed something? Please take a sec and leave your comment below – I’d really love to hear your opinion! Interesting and unique designs are excellent for starting your clothing line, but they are not everything. In order to give a really different and personal touch to your line – why not invest into simple and relatively cheap things, such as packaging? With a little imagination you could turn the eyes on you not just because of the various items in your online shop, but also because of the unique style of packing ’em up. 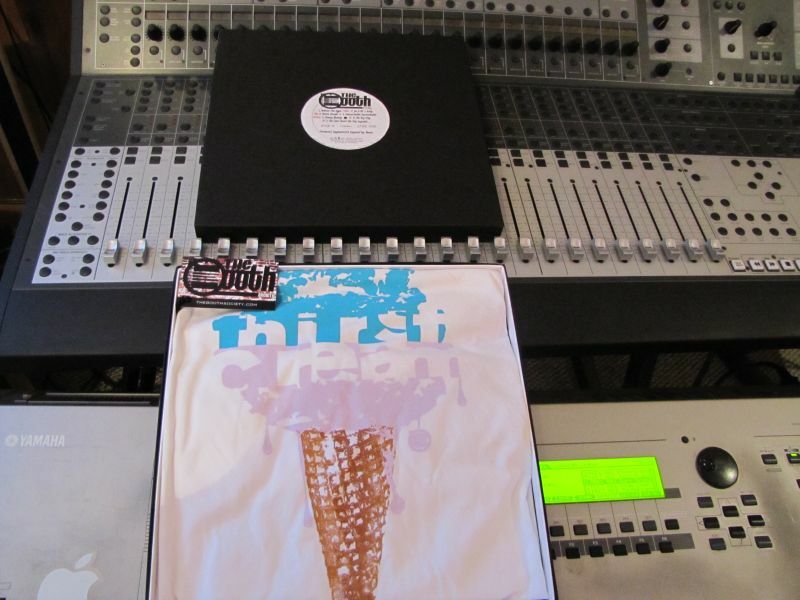 Seems like people @ The Booth Society understood this while starting their brand, inspired by the hip hop music & culture, packing their shirts into cardboard boxes, looking like 12″ vinyl record sleeves. 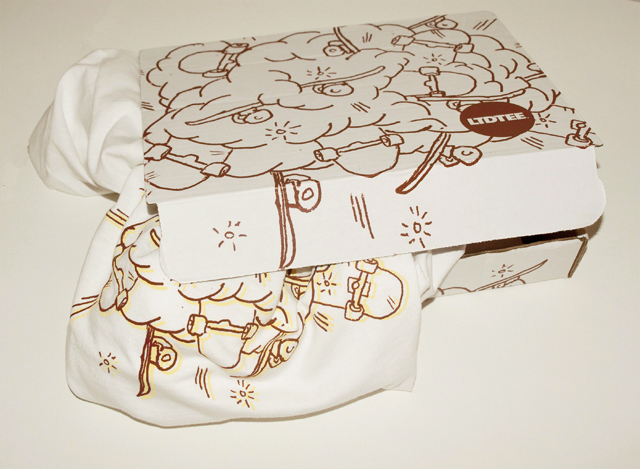 Not only the packaging is so different and cool; The Booth Society also creates really nice and memorable tee designs, which shows they carefuly choose their colors while designing. Being printed onto high-quality American Apparel shirts, The Booth Society designs aren’t screaming the stereotyped phrases all over the place. However, they are still overweening, just like the hip hop lifestyle is. “You won’t find our products plastered with our logo turning you into a walking billboard”, says The Society, bolding the names of their products such as “Untouchable. 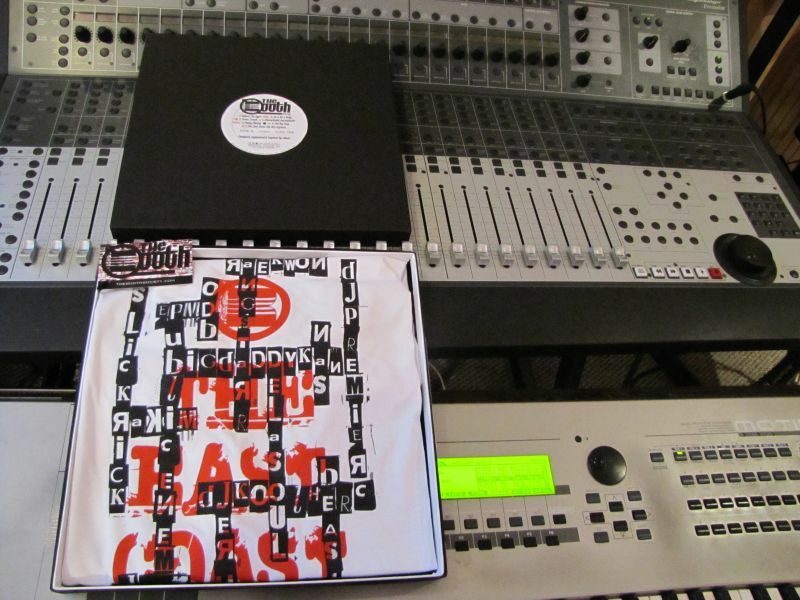 Uncrushable.”, “Believe The Hype” and “The East Coast Hip Hop Legends”. 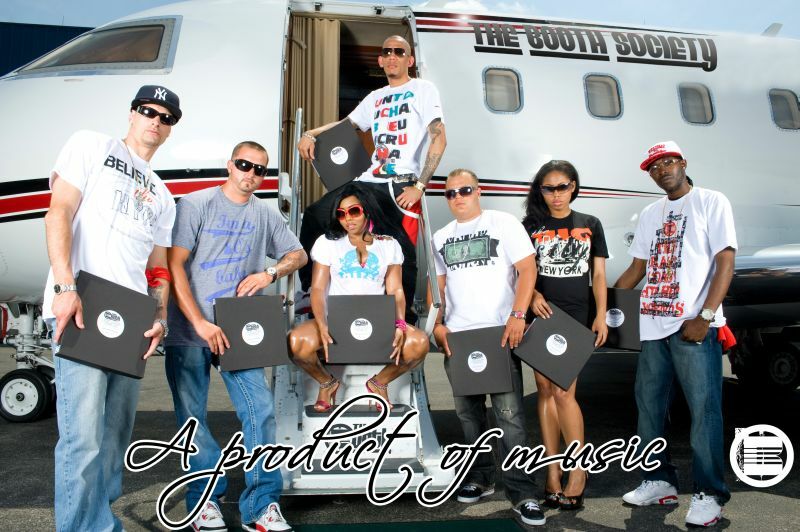 It would be more accurate to say The Booth Society is much more than just a clothing line, since their mission is to connect the musicians, DJs, producers and artists. With such a direct approach and already profiled apparel – who knows where it could lead them? “We know that our clothing, with its creativity and comfort speaks for itself”, states The Society, “we want you to wear it for the same reason we want to wear it, we love it”. Nothing more to add. 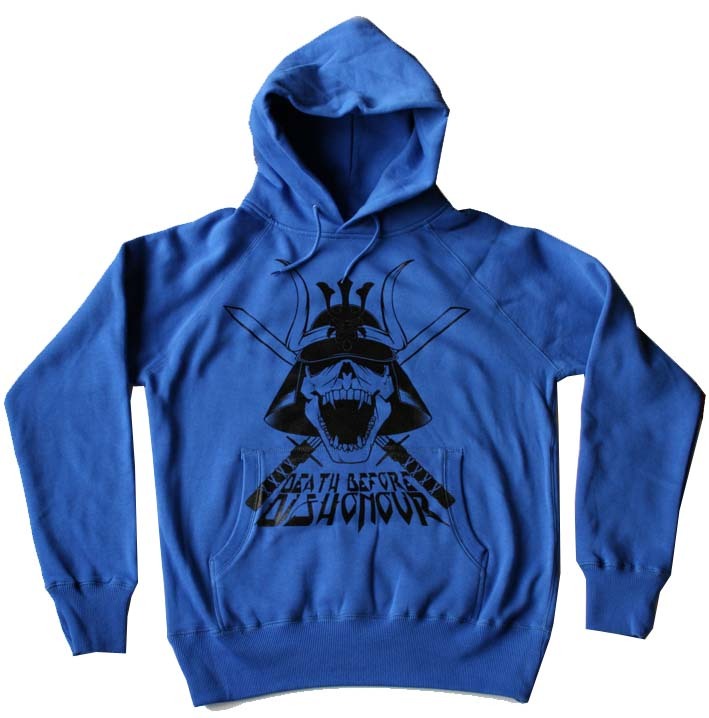 The Booth Society items are available for around $32.00 at their online shop. Well, to tell you the truth – I don’t really dig that whole “bro” walk & talk, but nevertheless I think it’s a cool business idea. 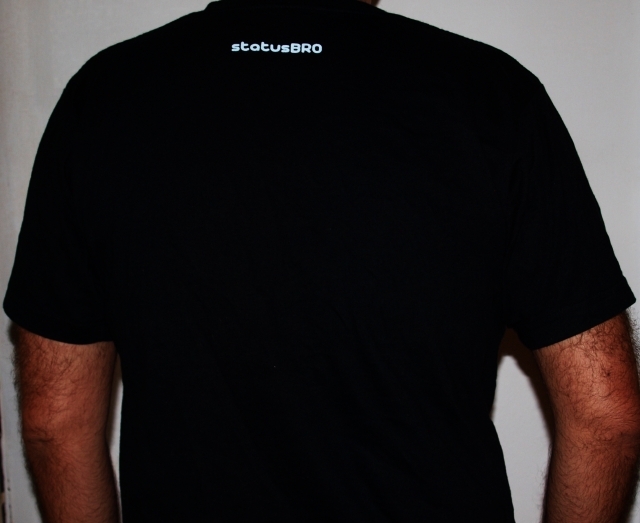 At least with relatively new, but still profiled company called StatusBro. I say “company” instead of “tee label” because people at StatusBro.com not only print and carry T-shirts, but do offer koozies, stickers and other fun stuff. 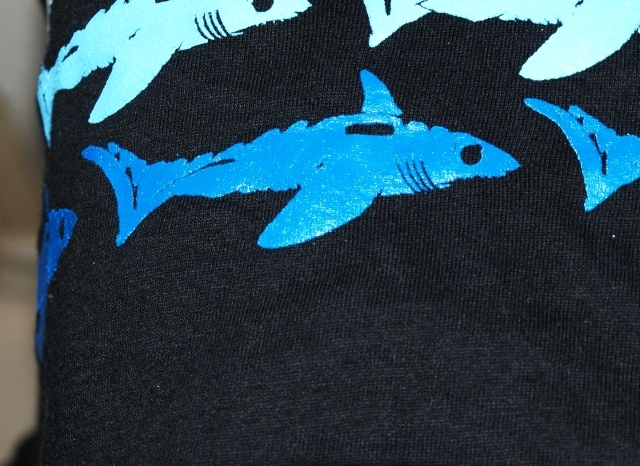 Now I was politely offered to review one of their tees and upon browsing their site I picked up the one called Sharks! A week or two later the shirt arrived and surprised me pleasently with it’s appearance. 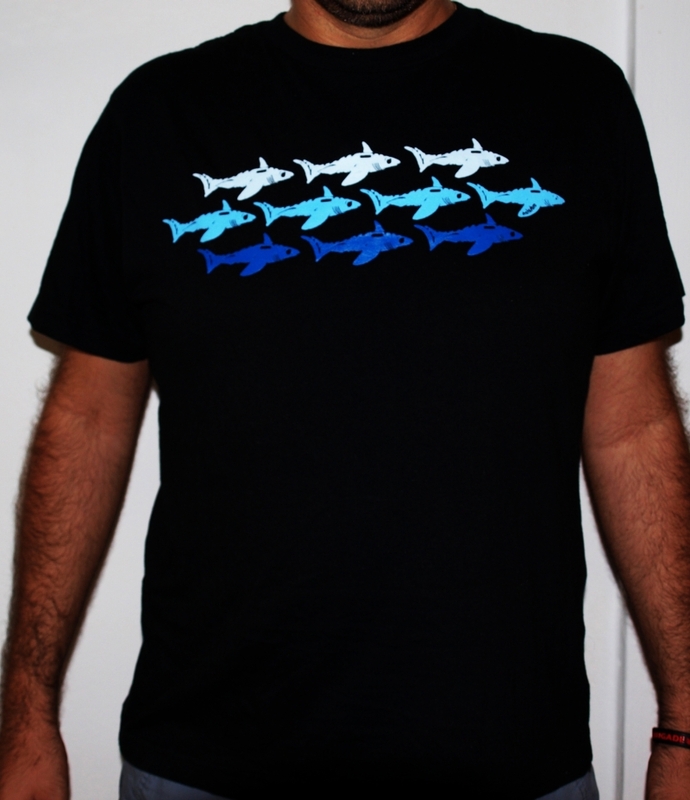 As you can see, the design with sharks flock is three-colored (three shades of blue) and printed on black shirt it looks very strong and eye-catching. 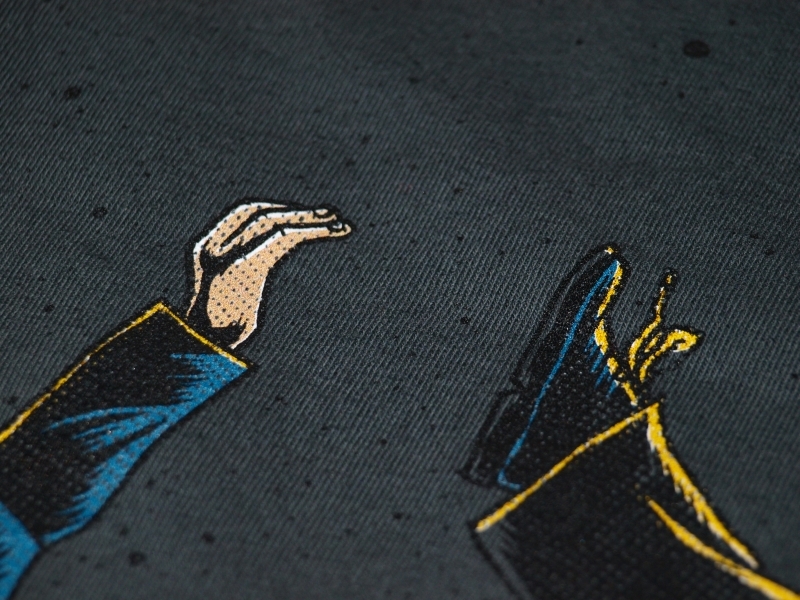 I immediately touched the print with my fingers and it appeared to be kind of rubber-ish, almost like a rubber stamp, which is cool and adds to originality of the shirt itself. Upon trying the shirt on it felt soft and very comfotable, but not being too thin at the sime time. It’s a pre-shrunk 100 % cotton shirt which fits nicely (at least I think so), but if you prefer an extra comfort you might wanna order it in one size bigger. For example – I normally wear M size and this shirt fits me very tight, which can be a problem if you’re having that little extra weight like me 🙂 However, this shirt isn’t one of those tight shirts which are choking your body when worn. Back to the design – I must admit I really respect sharks as mightiest predators in seas & oceans and wouldn’t wanna meet one “nose to nose” (I hear they’re circling around Adriatic sea often these days), but I don’t think I’m “the predator” in my group of friends like this design suggests (neither am I the sealife scientist). However, I can prove you this shirt grabs attention as shark’s jaws, based on reactions by some of my friends, who wanted to know where did I get it. 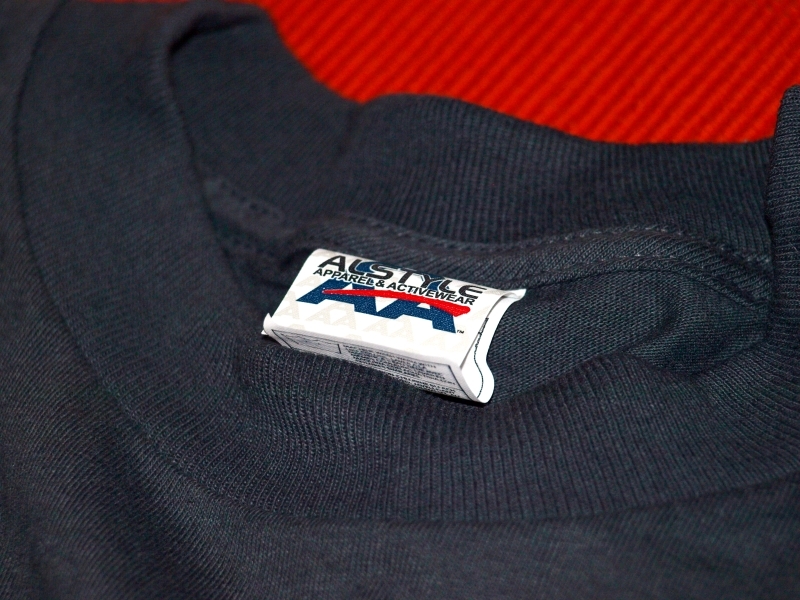 Now, although this promo shirt don’t have an original StatusBro neck label, it still has very cool StatusBro logo printed on the back, just below the neck, which is always cool (like I always say – I really like those kind of details on shirts). The print is also rubber-ish (note: not rubbish! 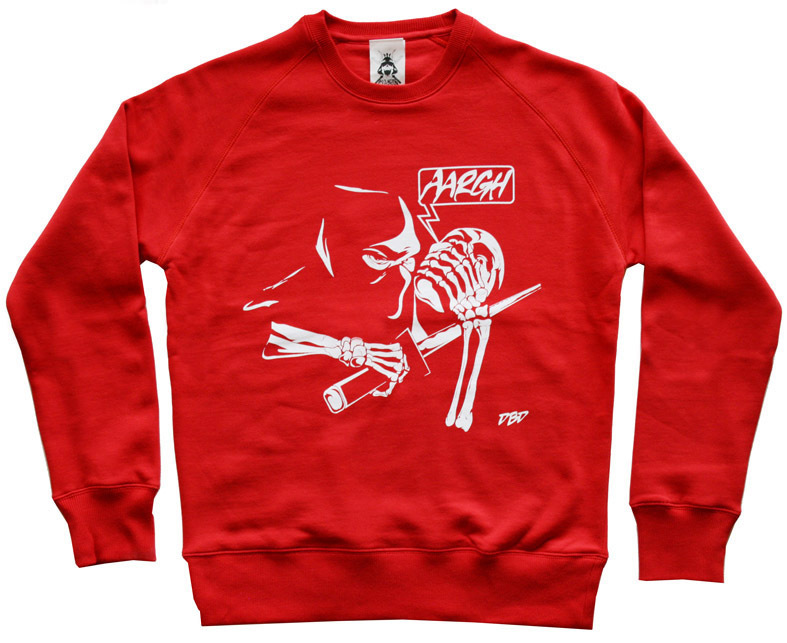 ), just like the one on the front of the shirt. All in all – this shirt is eye-catching, comfortable and original piece of cloth, and is also value for money (it can be yours for $20 through StatusBro online shop). Even if you wear it along with your trousers / skirt, or beneath a jacket or something, it is guaranteed to invoke a reaction, and today it is most important to be original and unique, right? Also, the good news is StatusBro is now having a promotion for one of their shirts (Don’t break the seal for $10), plus if you send them your picture wearing one of their shirts you get a free sticker and a koozie pack. Now, what’s your status, bro?